Dale R. “Pappy” Potts, a kind, quiet, faithful man peacefully went home to his Lord on Friday, March 22, 2019, at the age of 91, surrounded by his loving family. 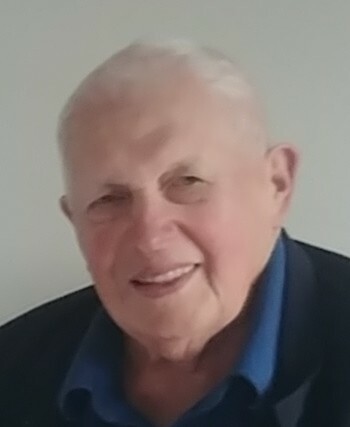 Dale was born on March 26, 1927 in Potts’ Hollow, Independence Township, the only son of J. Ross and Gertrude (Simmons) Potts; was raised and still lived on the Potts family farm; graduated from Hopewell High School; joined the U.S. Army, serving in France, Belgium, and Germany with the 249th Quartermasters Corps, attaining the rank of technical Sgt. Dale worked for Penn DOT as a truck driver, heavy equipment operator and foreman; receiving the meritorious service award from Penn DOT in 1981 and retired with over 35 years of dedicated service in 1985. Dale was a life-long member of New Bethlehem Presbyterian Church in Independence Township and recognized, by the church, as one of the oldest, life-long members in regular attendance. Dale will always be missed and remembered by these survivors, as a loving father to Wendy Potts Fleegal, Wayne R. (Robin) Potts, Victor D. Potts (Cori Maxwell); cherished Grandfather to Melissa A. Potts (Frank N. George, Jr.); step-grandfather to Scott and Mackenzie Maxwell; step-great grandfather to Ryleigh A. George; beloved “big brother” to his only sibling, his sister Helen Potts Lehman; dear uncle to many nieces and nephews, great-nieces and nephews, and great-great nieces and nephews, and several cousins. In addition to his parents, Dale was preceded in death by his cherished wife Theresa (Petitta) Potts; son-in-law Eugene “Gene” Fleegal; niece Charlotte Lehman Kriess and special friend and companion Thelma Cain Rice. Family and friends will be received on Tuesday, March 26, 2019 at New Bethlehem Presbyterian Church, 183 New Bethlehem Church Road, Aliquippa, PA 15001, from 10am until the time of service at 1pm after which the Beaver County Special Unit will conduct military honors. Private Burial will be at New Bethlehem Church Cemetery. In lieu of flowers, the family suggests memorial gifts in Dale’s name to New Bethlehem Presbyterian Church, 183 New Bethlehem Church Road, Aliquippa PA 15001 or to the Beaver County Special Unit C/O American Legion Post 580, 600 Pennsylvania Avenue, Monaca, PA 15061. “I have tried to live my life so that my family would love me and my friends respect me. The others can do whatever the hell they please.” The Duke, John Wayne.